Home › Ciaran Carson › Poem of the Week: Happy Birthday, Ciaran Carson! Today is Ciaran Carson’s birthday, and in celebration of this accomplished poet and traditional musician from Belfast, we are sharing one of his earlier poems, “The Albatross,” from his book First Language as our featured poem this week. This poem is written after the poem “L’Albatros” by the French poet Charles Baudelaire. 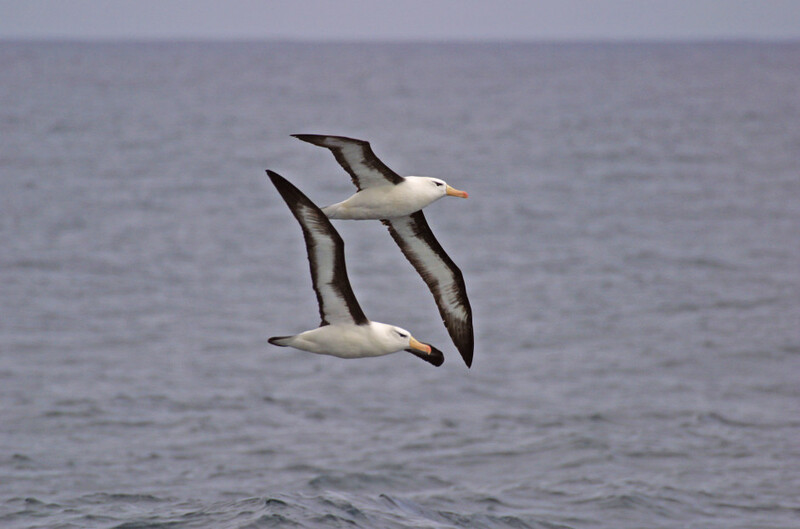 In it, the speaker compares the poet to the bird, as graceful and powerful when writing as an albatross is in flight. Of the high seas, who, following the navy, wants to be its Avatar. But they slap him, Emperor of Blue, down on the salty planks. They taunt him. Spat at, tripped up, his wings creak helplessly like oars, and haunt him. This wingèd voyager, now bedraggled, ugly, awkward, how pathetic! Someone pokes a pipe into his mouth, and someone else who mimics him is paralytic. Brought down to earth, his gawky, gorgeous wings impede his walking.